Today we’re taking a look at the just released Serious Sam Collection which for the first time houses all the extras and trimmings in one neat package which players can dip in and out of. The collection includes the original Serious Sam The First Encounter, The Second Encounter, Serious Sam Double D XXL and Serious Sam 3: BFE complete with the Jewel of the Nile DLC expansion. That’s essentially four games rolled into one, although it has to be said, that the games run from the disc and are plagued by extremely poor loading times. However, what’s on offer might make up for it if you’re looking for a no nonsense first person shooter, that’s as much about humor than its name suggests. There’s no recharging health here, just a plentiful supply of ammo pick ups, and lots of secret areas to discover. The guns are big and powerful, and the enemies explode pleasantly when shot. The games biggest asset is overwhelming the player with masses of enemies where only those with quick trigger fingers survive. Bring it on! The first Encounter really shows its age as Croteams’ first effort, and despite updated HD visuals, the 2001 game is rather lacking in details. That said, the gameplay remains faithful to the old school shooter crowd where the complexities of fiddling about with menus and interacting with others is absent. It’s Sam versus an odd bunch of alien misfits which simply provides some real back to basics gaming, that’s fast and full on – sometimes to the extreme. The Second Encounter keeps the same formula as the original and drops Sam into more alien fulled madness. Whilst there’s some improvement with the game’s looks, playing today and the game does fall short of what’s expected. For a game released in 2002 on the PC and then updated with HD visuals in 2010, the game certainly sits in the realm of budget release, and yet at the same time, much like its predecessor, offers some entertaining non-taxing shooting moments. Serious Sam 3 BFE opts to take a more traditional approach with its gameplay and storytelling, offering a more robust interface but some painfully tiresome loading between levels. This is obviously the most polished of the three games in all areas, and it’s interesting to have the other two to compare in comparison. 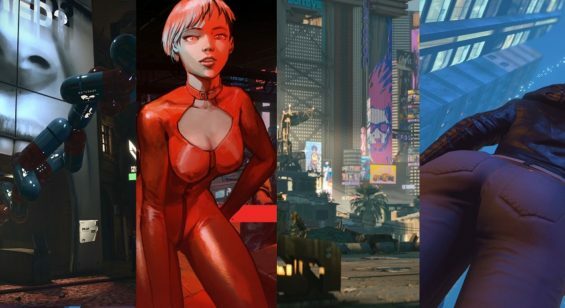 In a way, BFE feels like it’s trying to be a more serious game, and something is lost here, but… there are still plenty of aliens to kill and that old school vibe is still hinted at here. The Jewel In the Nile expansion is perhaps contentious as some would argue it should have been included in the original BFE release as standard, and yet it’s now here in this all encompassing package. Adding two new multiplayer maps – which for what it’s worth it’s difficult to find other players to play with – and two single player or co-op levels this is an interesting diversion from the main campaign and offers some new thrills for those besting BFE and looking for a little more. Serious Sam Double D XXL is perhaps the most distinct game on the disc having entered as a standalone game for digital download. Released in 2011, the game takes a side scrolling shooter approach and quite frankly is not very good due to mixing up mundane puzzle elements with the shooting. There’s some interesting ideas thrown in with regards to stacking up weapons to make new guns, but the gameplay is simply tragic and totally uninspiring. Serious Sam obviously operates best in first person. 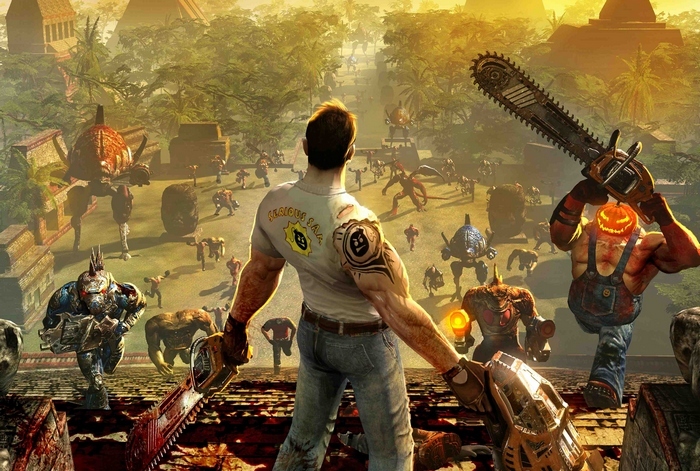 The Serious Sam Collection might be music to the ears of Xbox gamers considering it hasn’t been too long since the HD versions of the aged PC games showed up on the system. So… to have a definitive package of the series’ highlights might be quite welcome, for some. The package can be recommended on the premise that the gameplay is very much old school, the games are typically low budget, and the humor woefully dry. If these aren’t likely to be an issue and you’ve not played any of the games before, then The Serious Sam Collection might prove to be a pleasant rental or purchase if you can snag it at a decent price. 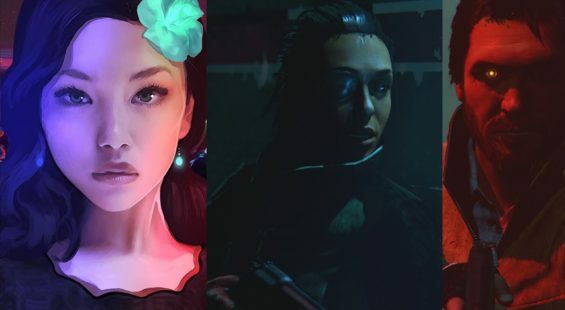 Looking at individual games, then there’s perhaps not much to recommend, but as a package, then there’s some value to be gleaned here…somewhere. Score 6/10 – Review by Robert Cram.